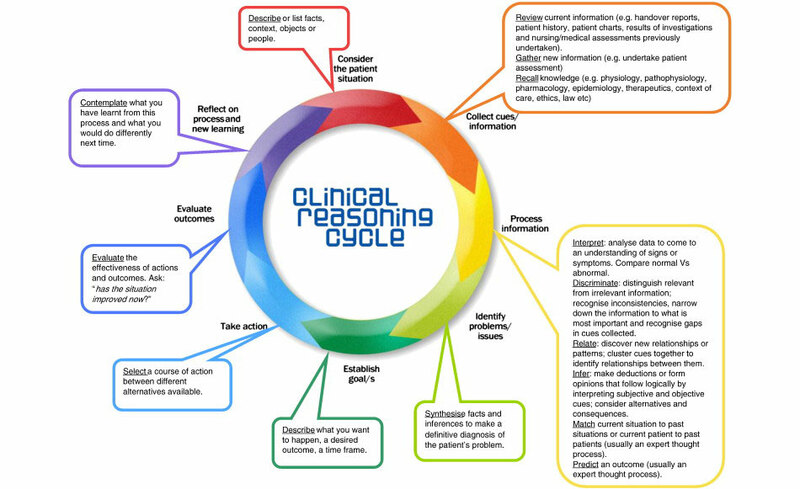 Clinical reasoning is a cognitive and metacognitive process that involves elements of critical thinking (thinking like a health professional). It is a cognitive process that manifests into an action. It is a way clinicians can think about the issues they encounter in clinical practice. This section of the website has information and resources relating to how the Clinical Reasoning Cycle can inform clinical practice and used as a tool to support students in the health environment. A video clip from a Clinical Reasoning Cycle Masterclass presentation held in Hobart by Tracey Levitt-Jones in 2013.